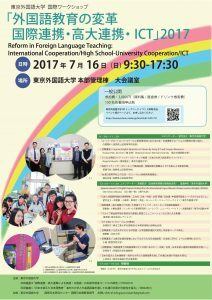 I specialize in Japanese, English and Chinese contrastive linguistics, as well as pedagogy based on learners’ native languages. Three recent projects in my research group are listed below. First, we have gathered data for a Japanese Learner Corpus and constructed a Japanese Error Dictionary. Second, we have published an Online Learners’ Composition Corpus and Error Dictionary with the cooperation of Professor Hiroshi Sano’s research group. 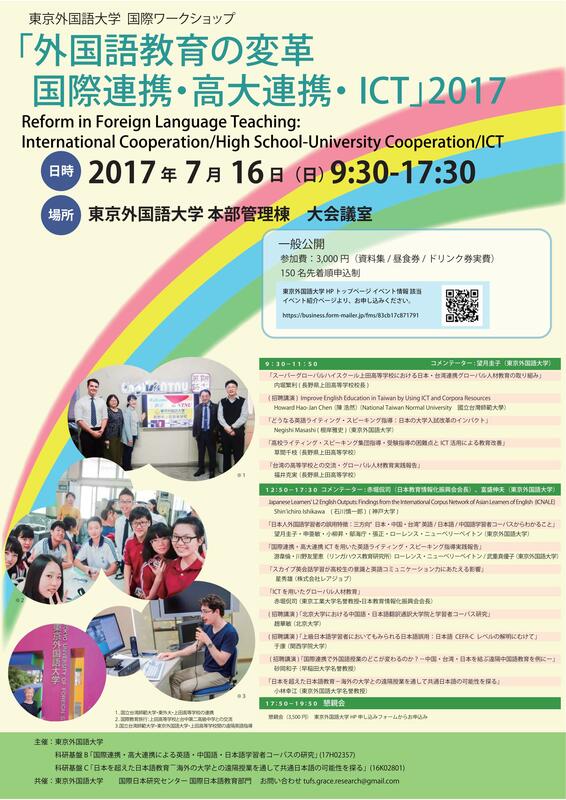 This consists of work gathered from English majors at Tokyo University of Foreign Studies. Japanese native speakers make frequent mistakes in the selection of the spatial and temporal prepositions in on and at. Use of in is particularly prevalent; we speculate that this is because there are many expressions such as -nai and -chu in Japanese. There is also prevalent use of of, which is influenced by -no in Japanese. The third project is being conducted from Tokyo University of Foreign Studies through cooperation with The University of Leeds (UK), Peking University and Akita International University. We are collecting data for an English-Chinese-Japanese Learner Corpus and constructing an Online Error Dictionary. This is an international project investigating empirically how learners’ native languages influence Second Language Acquisition. These projects are realized by the steady collaborative efforts of undergraduate and postgraduate students in the research group.